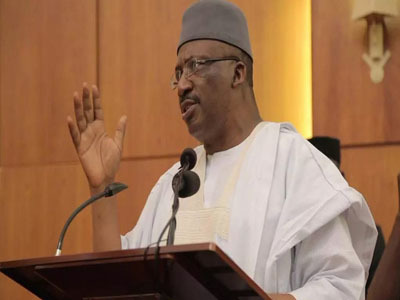 Dambazau, who expressed sadness over what transpired during Idrisâ€™s tenure, said such should be avoided in the future. The minister, who spoke in Abuja when the new Acting IGP, Mohammed Adam, paid him a working visit, said: â€œI congratulate the Acting Inspector General of Police. I appreciate your coming here recognising the significant of the Ministry of Interior following its supervisory mandate of the police and other agencies and also its mandate in internal security and public safety. â€œBecause we are happy that you took this step because since November 2015 that I came in here as minister, Mr. Solomon Arase, who was the then Inspector General of Police, we had cordial relationship. He promised to change the old ways of operations and embrace peace in order to tackle the countryâ€™s internal security. Adam also vowed to always attend meetings summoned by the minister when necessary. His words: â€œIt is a privilege to be received by you today. Since my appointment as the Acting Inspector General of Police, my thought was first to visit the Ministry of Interior because it is very important. â€œWe are aware of the fact that most policy issues concerning police operations comes from the Ministry of Interior and we donâ€™t want to be left out. â€œWe want to be deeply involved in the activities of the ministry. We want the minister to know that we (police) are 100 per cent ready to participate in every activity in the ministry that will involve security. â€œWe do have challenges involving security in the country; challenges that can be surmounted with the support of the parent ministry. Findings revealed that the former IGP Ibrahim Idris did not personally attend any meeting summoned by Dambazau since assumption of office.